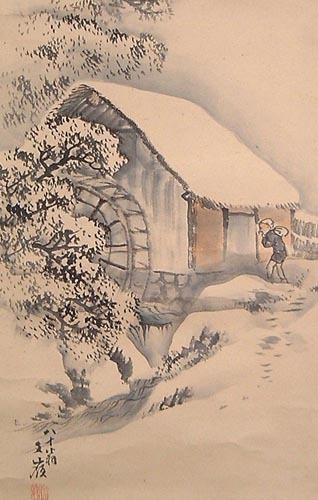 Signature: Hachi-ju okina Bunrei (Eighty year old man Bunrei). Artist seal. Size: Scroll 199x32,5 cm. Painting 131x30 cm. Medium: Painting on paper. Black ink and colour.